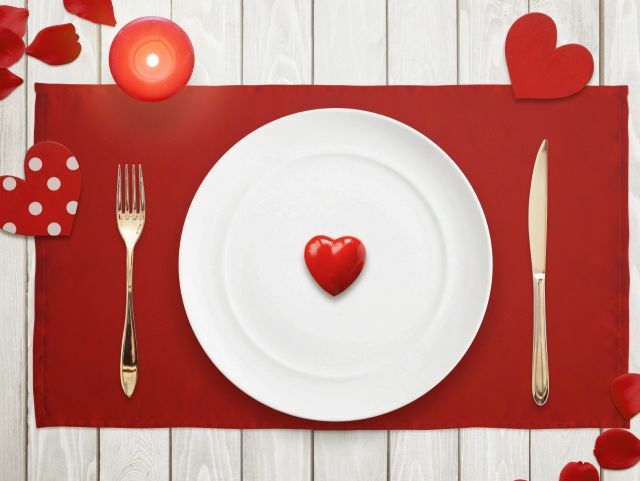 Valentine’s Day is reportedly the second-busiest day for restaurants in America, next to Mother’s Day: In 2014, Americans spent about $7 million at restaurants. And the average cost of eating out this year will be anywhere between $87 to $287 per couple. It might be hard to say with certainty exactly how everyone eats on the Feast of Saint Valentine, but a peek at social data trends offers some clues. Eater looked at Google Trends data and reached out both to food delivery service GrubHub and search and discovery app Foursquare to understand how Americans eat on Valentine’s Day. One thing that stands out about American Valentine’s Day dinners is that, at least for couples, they are not very American at all: Data shows that couples prefer international Valentine dishes instead. Dinners for singles, on the other hand, are as American as they can get, filled with fatty indulgences.